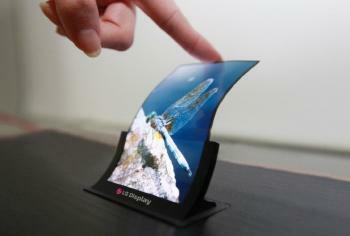 According to a new report from Korea, both LG Display and Samsung aim to start producing flexible OLED displays in November 2013. If this is true it probably means that they will not be able to actually ship the final products in 2013. ETNews says that both companies have high hopes for flexible displays, and if market reaction is good they will invest heavily in more production capacity. Samsung currently has a flexible OLED capacity of about 8000 5.5-Gen sheets, which is about 1-1.5 million 5" panels a month assuming 100% yield. But yields won't be that high and the line is also used for R&D which means that actual production will be a few hundreds of thousands of panels a month. This isn't even enough for a single mass-market smartphone device. 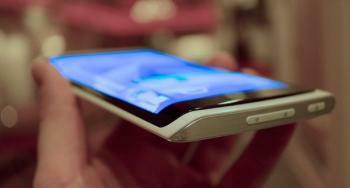 Samsung now considers (according to the article) to build an entire new factory (A3) just for flexible OLEDs. Samsung can also switch some lines in their A2 fab to flexible production (which means they will have less capacity for rigid, glass based OLEDs). LG Display has an even lower capacity. Their flexible OLED pilot line is 4.5-Gen and has a capacity of 12,000 monthly sheets. At 100% yield this is less than 500,000 panels a month.